Maryland's historic statehouse, ca. 1772. 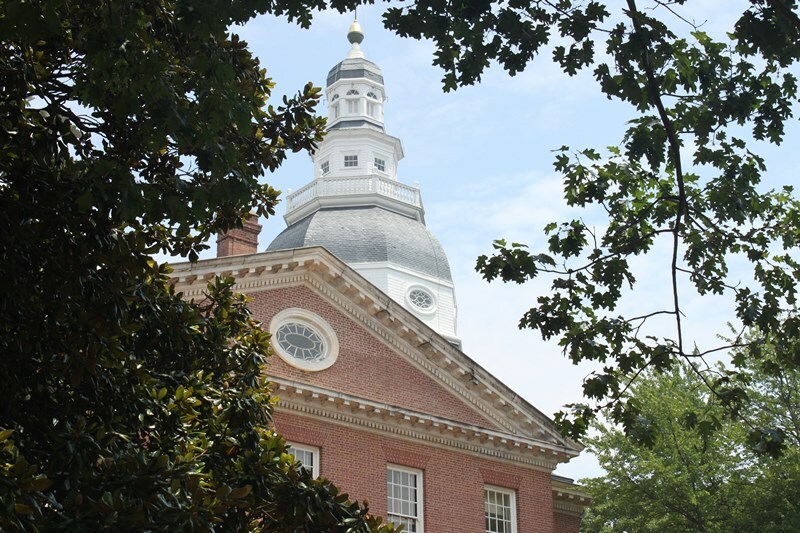 The 2019 Legislative Session of the Maryland General Assembly came to a close on Monday, April 8, 2019. After 90 days of championing key bills and testifying on many other pieces of important legislation, it is safe to say that Preservation Maryland had one of its busiest legislative sessions in recent history. With Session adjourned until January 2020, we are happy to report that we were able to accomplish significant advances for preservation and smart growth in Maryland. This bill increases incentives for many different state tax credits within opportunity zones in exchange for increased transparency and community engagement. SB581 included the same language as our Historic Tax Credit Bill (SB656/HB1162), with a few amendments. As a result, the state’s historic tax credit is now authorized through 2024 and has been renamed the Historic Revitalization Tax Credit. It allows the Small Commercial program to be used for certain residential development projects and creates two pilot programs for agricultural structures and post-World War II (1945-1969) buildings to encourage the use of the credit outside of urban areas. Large Commercial historic tax credit projects that are located within Qualified Opportunity Zones are now eligible for an increase in the percentage of the tax credit they receive and an increase in the overall per-project cap. Unfortunately, zero additional funding was passed for either the Large or Small Commercial programs. Until there is more funding in the program, all of the advancements and improvements that have been passed can only have so much impact. Additionally, the House Ways and Means Committee eliminated a provision that would have allowed for the tax credits to be transferred. Transferable credits provide another financing option to developers taking on complex and expensive historic rehabilitation projects. With the decrease in the value of the federal historic tax credit due to last year’s federal tax reform, Maryland must do as much as it can to offset the increased challenges faced by those taking on historic preservation projects. Initially, this bill would have created a waiver process for historic easements. 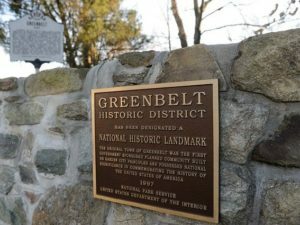 After thoughtful conversation with the bill sponsor, developers and the Maryland Historical Trust, the bill was amended with language provided, in part, by Preservation Maryland to instead authorize a necessary study to address the challenge of reusing large campuses of historic structures. 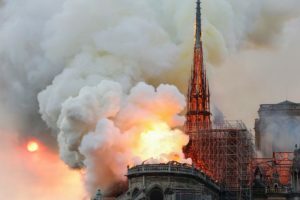 It charges the Secretary of Planning to work with a consultant to conduct the study, which is to be completed by the end of 2019. SB99 provides necessary exemptions for properties engaged in agritourism in Allegany, Anne Arundel, Baltimore County, Kent, Prince Georges, and St. Mary’s County. This legislation has a potentially meaningful impact for historic properties, as it would provide a new source of revenue for the rehabilitation of historic properties in agricultural areas. Following a precedent set in several other counties, $10 of every marriage license will be provided to the Washington County Historical Society to support their efforts. Draft legislation was provided and advocated for by Preservation Maryland. This bill establishes mandatory grant funding to assist local jurisdictions with infrastructure repairs, debris removal, and emergency protection work associated with a flood event. This legislation will provide meaningful support for historic Ellicott City and other communities grappling with the impact of intense weather events. 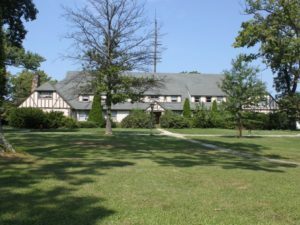 HB662 will lift the onerous restrictions on the redevelopment of Glenn Dale Hospital (a Preservation Maryland Six-to-Fix project) that only allows for the use of the property as a Continuing Care Retirement Center (CCRC), which has been proven by a recent study to be unfeasible from a market perspective. While the CCRC restriction has been lifted, the legislation still ensures that the historic campus be adaptively reused. This bill established a task force to study transportation access throughout the state and to make recommendations based on their findings to improve transportation access to employment, education opportunities, and health, rehabilitation, and other social services. A representative from Preservation Maryland will be appointed to the task force. 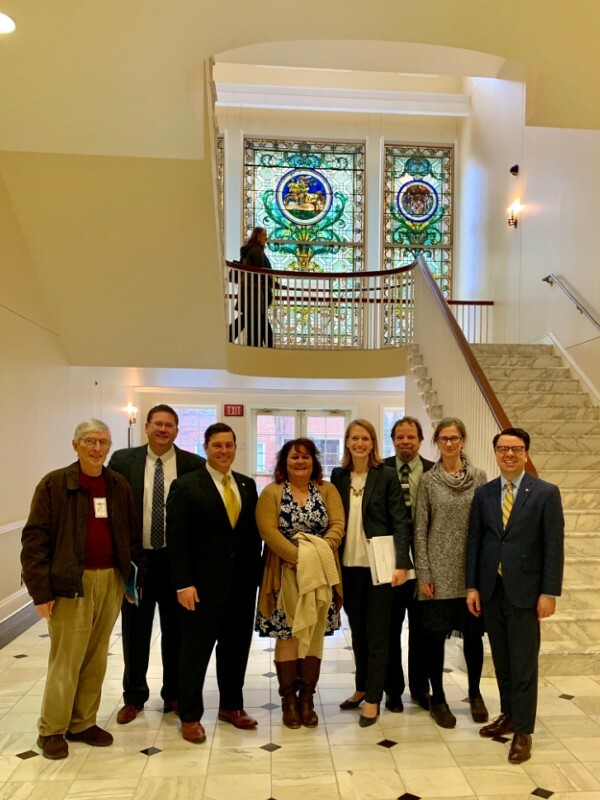 Advocates for HB1162 in the halls of Annapolis, 2019. 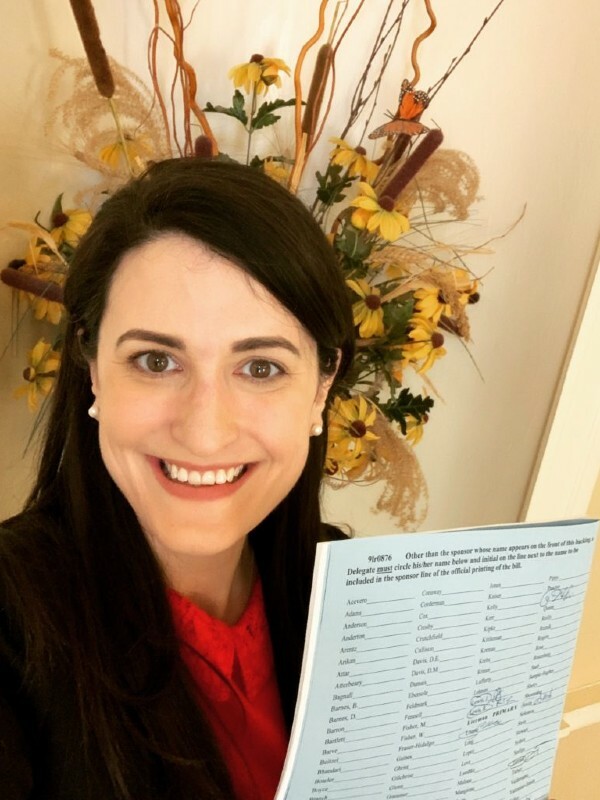 Director of Advocacy Elly Cowan walked the halls of the House Office Building to get co-sponsors for the historic tax credit bill, 2019. Although this bill did not pass, the same language was included within the Opportunity Zone Enhancement Program bill that did pass. We are pleased that Senator Bill Ferguson and Delegate Brooke Lierman saw how important the changes made by SB656 would be to community development across the state and decided to include the bill language within their Opportunity Zone Enhancement Program. SB656 would reauthorize the credit until 2024; increase funding to the large commercial component of the program to $20 million (from current appropriation of $9 million); establish a simpler process for small residential redevelopment; make the credit transferable; create two pilot programs for agricultural structures & mid-century modern buildings; provides an additional 5% for projects in Opportunity Zones; increase the residential per project cap to $75,000 (from $50,000) & renames the credit the Historic Revitalization Credit. HB1391 would have established a new capital grants program for cultural, artistic and historic institutions in the state, a potentially powerful new tool for museums and preservation organizations. We look forward to working with the bill’s sponsors to try to move similar legislation next year. There is a dearth of funding available for museums in our state, so it is essential that we continue to work to establish programs such as this. SB255 would have allowed Maryland museums to establish title to property that has been donated or left with them after a loan period has terminated and the lender could not be found. SB744 would have established a commission, with input from Smart Growth Maryland, on establishing a statewide plan for where solar facilities should be constructed in Maryland. The legislation was submitted in response to several high-profile proposals to construct solar facilities on prime farmland, cultural landscapes, and densely forested areas. This legislation would have extended an authority currently only granted to eastern shore counties, which would require that local governments approve of state toll roads before their construction in their jurisdictions. Toll roads have the potential to significantly impact growth patterns, and often historic resources, making this legislation a priority for the smart growth and preservation community alike. Southern Maryland and Charles County, in particular, has some of the worst traffic in the nation. This legislation would have finally funded the planning and design of the long-anticipated southern Maryland Rapid Transit system. Smart Growth Maryland’s work in Charles County has long advocated for this critical transportation system. The Smart Growth Investment Fund would have been funded at $7 million to create an investment fund to incentivize smart growth projects throughout the state. Staying engaged over the entire 90-day session requires dedication, partnerships and significant financial resources. Preservation Maryland is dependent on donor contributions to keep us on the ground in Annapolis making the case for preservation. Please consider making a gift to our Advocacy Fund to help support our work in Annapolis.